The Disney/Pixar Ratatouille Artisan serving plank Picnic Time will be a gorgeous addition to your serve ware collection. 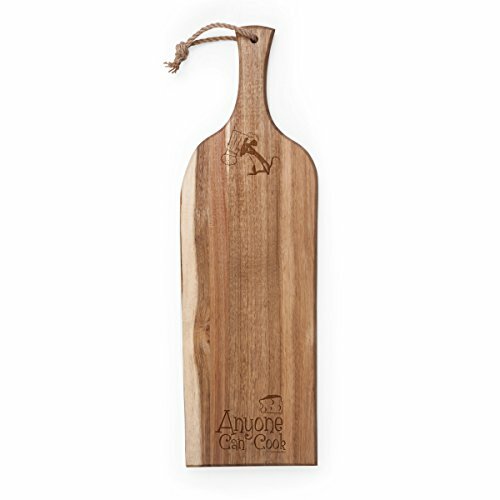 This paddle shaped serving plank is made with beautiful wood from the acacia tree. To showcase this naturally water-resistant wood, we've left some of its raw beauty intact by featuring a live edge on one side, rendering a unique look and ensuring that none of these planks are exactly alike. 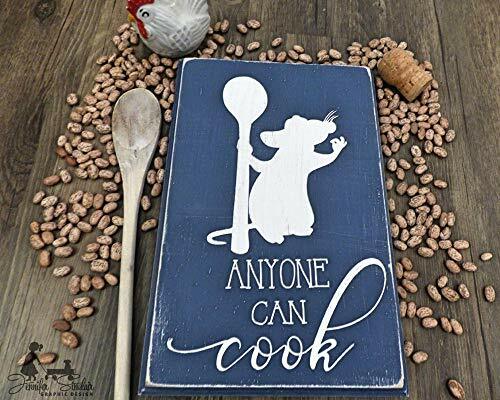 You'll love the whimsical laser engraved Ratatouille artwork on the face, along with the phrase "Anyone Can Cook". Adding to its rustic look, the handle includes a hemp hanging loop, allowing you to display this versatile piece of kitchen art for your guests to appreciate. Great for serving appetizers, rustic bread, crudite, or cheese and crackers, the Artisan will wow your guests. The Artisan measures 24 by 8 by 3/4 inches, and is backed by the Picnic Time Family of Brands BUILT TO LAST Lifetime Guarantee. Ornament is new in box, never removed from packaging. Box is in excellent condition with shelf wear. Original plastic packaging. Price tab intact. 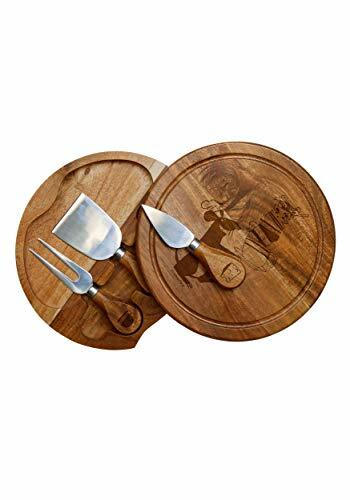 Great for entertaining, the Disney/Pixar Ratatouille Circo cheese board set by Picnic Time features a swivel-style circular chopping board made of naturally durable hardwood. 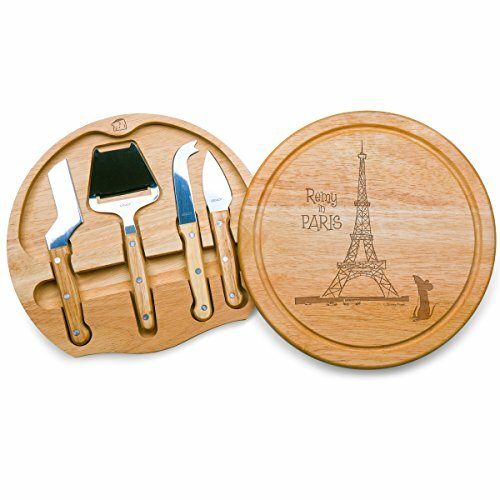 The top of this uniquely designed cheese set features laser-engraved Remy in Paris artwork and slides away on a hinge, revealing the gadgets nested inside. The four assorted cheese tools feature stainless steel, full-tang construction with wooden handles and laser-engraved logos, and include one each; cheese plane, knife/spreader, curved knife with a dual pronged tip for lifting, and a sharp cheese knife/cutter for extra hard cheeses. Additional features of the Circo cheese board set include a recessed moat along the board's edge to catch cheese brine or other liquids, and a generous surface area for serving. 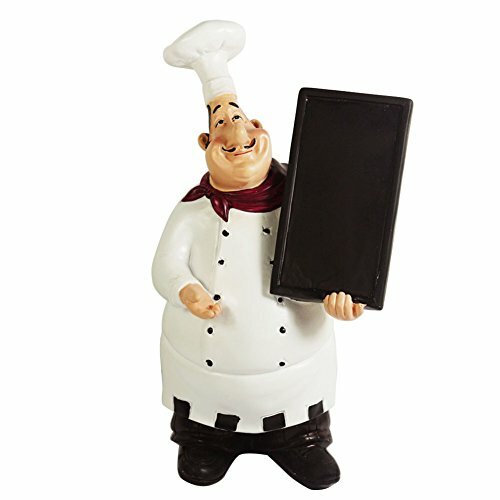 The Circo measures 10.2 inches in diameter by 1.6 inches, and makes a fabulous gift for the Ratatouille enthusiast! Backed by the Picnic Time Family of Brands BUILT TO LAST Lifetime Guarantee. Perfect for outdoor concerts, days at the beach, picnics, or star gazing, this Disney/Pixar Ratatouille outdoor picnic blanket tote by Picnic Time features an attractive outdoor picnic blanket made of cozy polyester fleece with a water-resistant backing. The handy shoulder strap allows for easy transport. This blanket measures 59 by 51 inches when open, then folds back up neatly into a small tote with a zippered pocket in the flap. 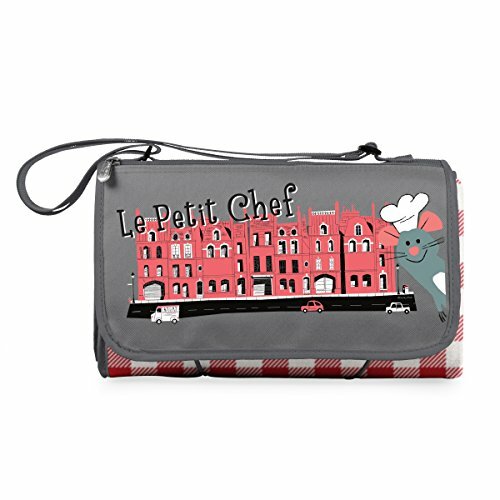 The flap features whimsical Ratatouille artwork, making it a great gift for the Disney enthusiast. Leave it in your car so you are prepared for spontaneous relaxation or an unforeseen rainstorm. Backed by the Picnic Time Family of Brands BUILT TO LAST Lifetime Guarantee. 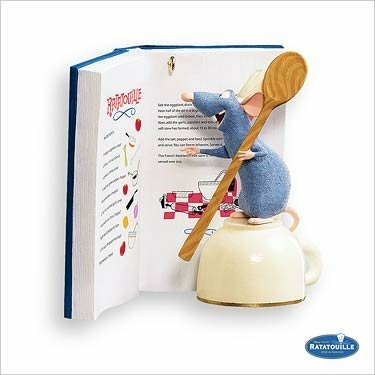 Perfect for happy hour, wine-tasting parties or the buffet, this Disney/Pixar Ratatouille Delio cheese set by Picnic Time features a gorgeous acacia wood cutting board with a chalkboard front edge designed to write on, and comes with a natural soapstone pencil for scripting a special note to your company. The board has "Le Petit Chef" laser engraved on the front, along with the Ratatouille movie character Remy. Three stake-style cheese markers labeled with phrases from the movie-Bon Appetite, Delight du Jour, and Petit Gourmet- come with the board and have chalkboard sections, making it easy for you to identify the specific cheeses you are serving your guests. The Delio comes with an acacia wood handled cheese knife with a stainless steel full-tang, fork-tipped blade. This beautiful cheese board is designed with carved indents to house the markers and the knife when not in use. The Delio cheese set makes a fabulous gift! Occasionally rub the board and knife handle with food-safe mineral oil to preserve the wood. Measures 15 by 10 by .75 inches. Comes gift-boxed and is backed by the Picnic Time Family of Brands BUILT TO LAST Lifetime Guarantee. ♥None of our signs are mass produced, and all of our signs are handmade to order, so if there is a particular color combination that you require just let us know and we will do our best to accommodate you. When checking out please add in the notes to seller box:Lettering color:Ribbon color:☀☀☀☀☀☀☀☀☀☀☀☀☀☀☀☀☀☀♥It is shown in a dark walnut stain and white lettering. It can stand on its own or hang on the wall. This sign does come ready to hang with a sawtooth hanger.♥All of our signs are crafted from 100% solid white wood pine. Each wood plank is hand-selected for its unique grain, knots, and "natural imperfections" which add to the beauty, charm, and character of each piece.♥Like our style but don't see exactly what you are looking for? I would be happy to make a custom order. Contact me and I will create the perfect piece, uniquely for you!☀☀☀☀☀☀☀☀☀☀☀☀☀☀☀☀☀☀Disclaimer:♥All signs are assembled and designed from 100% wood. Signs will vary in color and texture. Additionally, all pieces are hand stained and painted by brush, and as a result, there may be slight variations from one piece to the next. 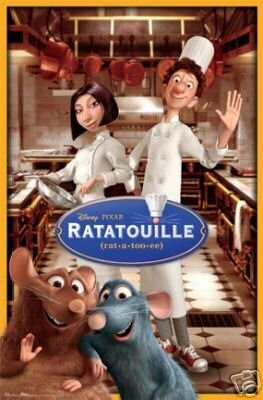 Looking for more Ratatouille Kitchen similar ideas? Try to explore these searches: Front End Suspension Lift, 1 Burner Gas Stove, and Carolina Mens Hiking Boots. 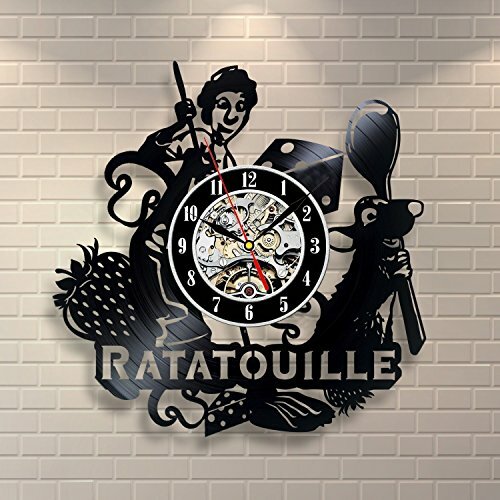 Look at latest related video about Ratatouille Kitchen. Shopwizion.com is the smartest way for online shopping: compare prices of leading online shops for best deals around the web. Don't miss TOP Ratatouille Kitchen deals, updated daily.